Site Scan Manager has measuring tools you can use to calculate Distances, Areas and Volumes. You can also place Markers anywhere on the site which would display the latitude and longitude. The Counter tool can be placed on any object in the map to get an accurate count. 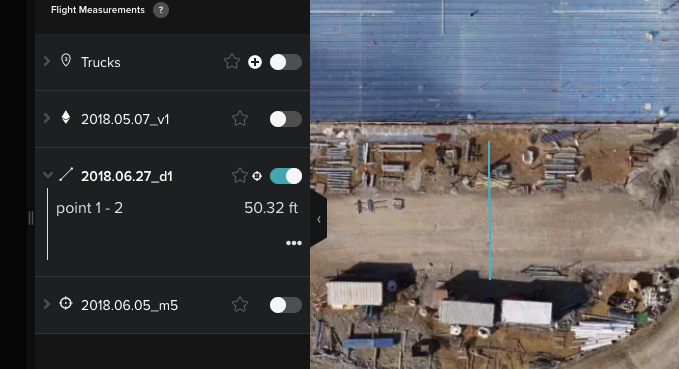 All of these measurements are turned into annotations and are shown under the Measurements menu on the left and can be renamed, or deleted by right clicking on each of them and selecting the desired option. You can also toggle them on and off. You can measure Distances by selecting the option from the Measure menu. By clicking once on the map you’ll set the initial point from where you’ll measure. Clicking once anywhere else on the map will add another point. Double clicking will set the end point for the distance being measured. You can click on the line created to have it display the distance. You can measure both Area and Volume by selecting the Volume option from the Measurements menu. You can lay out new vertices by clicking once, and set the end point of the measurement box by clicking twice. Clicking on the box will display the Area and Volume. 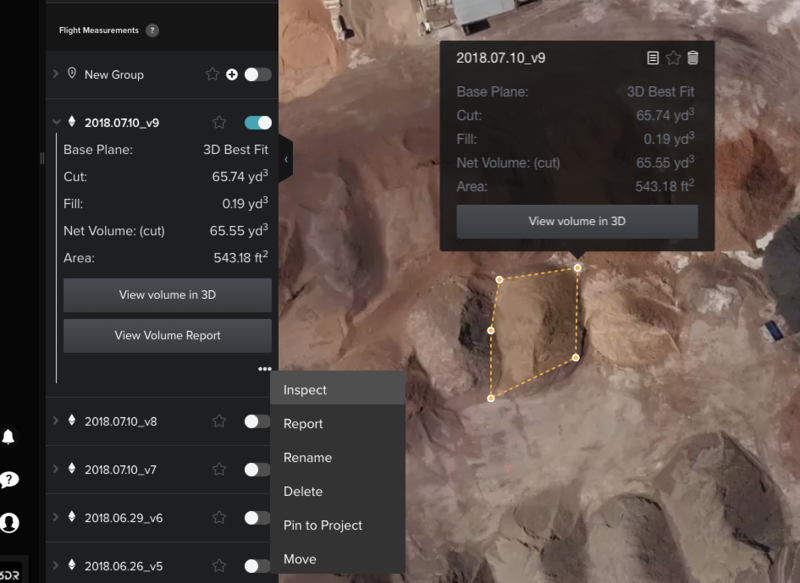 When it comes to volume measurements you can also access a wire frame view by clicking on the "View Volume in 3D" button in the annotation or when you click on the drawn polygon, or by right clicking the annotation and selecting the option “Inspect”. This allows you to determine where is the base point from which the volume is being calculated. 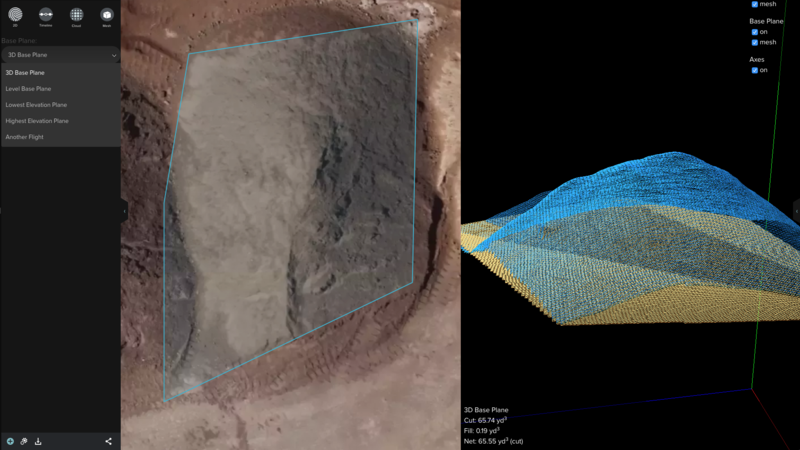 You can also use the Inspect Photo mode to visually inspect all the images of a specific point on your orthomosaic. 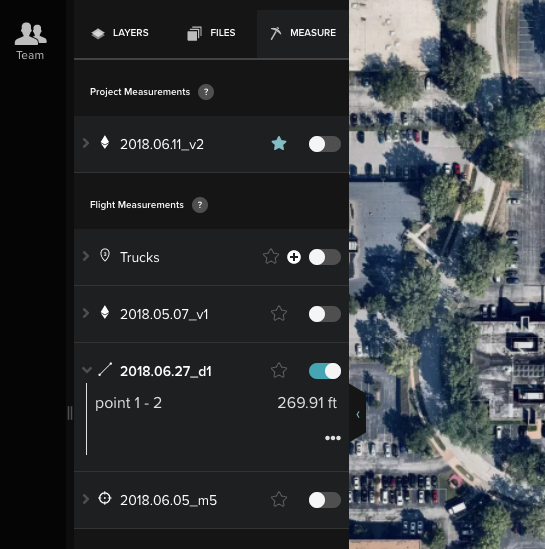 After selecting Inspect Photo click anywhere on your orthomosaic to drop a marker so Site Scan can bring up all the images that contain the point you clicked on. Pro tip: Site Scan highlights the point you clicked on each image with a red box. 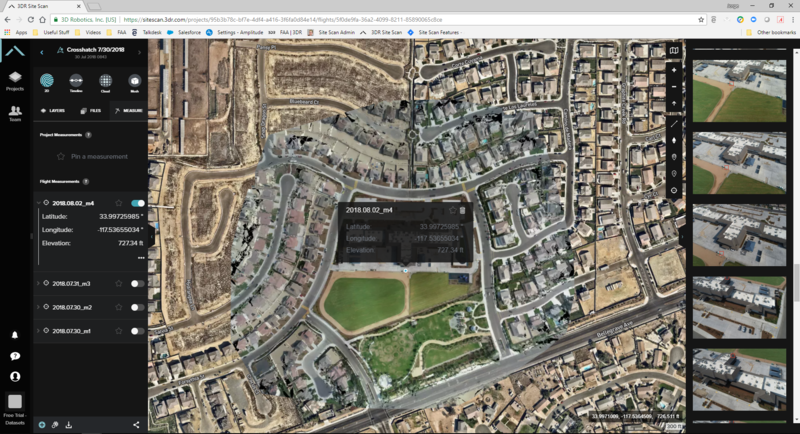 You can click on a specific image on the photo reel located on the right of Site Scan if you want to further inspect at a higher zoom level. 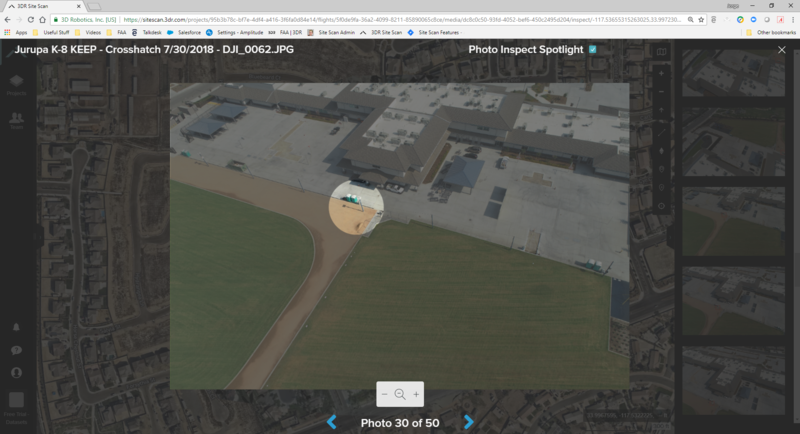 Pro tip: Site Scan can highlight the area you clicked on the orthomosaic with a "Spotlight".